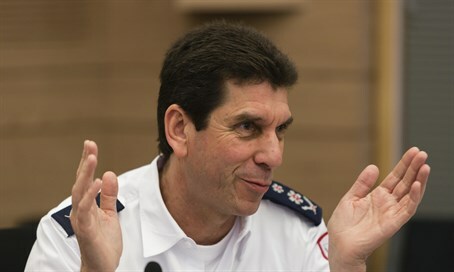 Magen David Adom (MDA) volunteers have been busy in recent days providing immediate treatment to the victims of Arab terror, but according to MDA general director Eli Bein, the organization may put the attackers before their victims. Speaking to the haredi radio station Kol Barama, Bein answered a question that has been posed constantly on social media, asking whether MDA medics would first treat an Arab terrorist who is shot while conducting an attack before treating his or her Jewish victims. "I don't have instruction like that about who to treat first, the moment you see a wounded person you treat them, we don't check who the victims are," said Bein. "Unfortunately the terrorists are doing awful things to innocent people. At the same time, I don't have the privilege to come and sort out the wounded - the rule of Magen David Adom is to treat the most seriously wounded person who is in life threatening danger." "We treat the wounded, if the security forces at the scene forbid our crew from treating a wounded person we don't," he added. Yehuda Meshi Zahav, director of the ZAKA emergency response organization, also was interviewed by Kol Barama. Meshi Zahav spoke about the decision of ZAKA to wrap the bodies of terrorists in black body-bags, as opposed to the previous policy of wrapping both the terrorists and victims in white ZAKA bags. "We received more than a few responses about why are we putting the bags of terrorists with the logo of ZAKA, and there's something to that," he said. "We need to distinguish between terrorists and Jews, and so we decided to put terrorists in black bags to distinguish."